There’s a new Dio covers album coming out this spring that benefits the RJD Stand up for Cancer charity. It’s a good cause, and has a lot of cool artists on it. Anthrax, Metallica, Rob Halford, Halestorm, Scorpions, and plenty others. Cool factoid – Halestorm opened for Heaven & Hell on the last concert that RJD ever gave anywhere. Check out the artwork and the press for this. Once I get more, I’ll be sure to pass it along..
Ronnie James Dio is one of the most beloved figures in rock history. His gifts, both as a singer and songwriter, are instantly recognizable, whether he was with Rainbow, Black Sabbath, Heaven & Hell, or leading Dio. Sadly, Dio lost his battle with stomach cancer in 2010, but his towering voice and legacy live on. To celebrate one of rock’s most powerful voices, an all-star group of his friends and fans recorded 13 of their favorite tracks for a tribute album that will raise funds for the Ronnie James Dio Stand Up and Shout Cancer Fund (diocancerfund.org). Produced by his longtime manager and wife Wendy Dio, the album includes contributions by such metal heavyweights as Metallica, Motörhead, Scorpions,Anthrax, and Rob Halford, as well as appearances by many of the musicians who performed with Dio over the years. This Is Your Life will be available from Rhino on April 1, 2014 for a suggested list price of $18.98. A digital version will also be available. Although the songs featured on the album touch on the different eras of Dio’s career, several spotlight his time with Rainbow, includingMetallica’s epic, nine-minute “Ronnie Rising Medley,” which combines the Rainbow songs “A Light In The Black,” “Tarot Woman,” “Stargazer,” and “Kill The King.” Scorpions add a scorching take on “The Temple Of The King” while Motörhead is joined by Biff Byford from Saxon on “Starstruck.” Rob Halford teams with frequent Dio collaborators Vinny Appice, Doug Aldrich, Jeff Pilson, and Scott Warren for “The Man On The Silver Mountain.” The final line-up of Dio’s solo band – Simon Wright, Craig Goldy, Rudy Sarzo and Scott Warren – are joined by Glenn Hughes (Deep Purple, Black Sabbath) for “Catch The Rainbow,” a track from Rainbow’s 1975 debut. Anthrax and Adrenaline Mob honor Dio’s memorable stint with Black Sabbath with their takes on “Neon Knights” and “The Mob Rules” respectively, as does a group, led by Oni Logan on vocals along with Jimmy Bain, Rowan Robertson, and Brian Tichy, which performs “I” from Dehumanizer. This Is Your Life also includes songs from Dio’s back-to-back platinum albums Holy Diver (1983) and The Last In Line (1984), withDoro’s take on “Egypt (The Chains Are On)”, Halestorm tackling “Straight Through The Heart,” Corey Taylor (Stone Sour, Slipknot) covering the classic “Rainbow In The Dark” and Tenacious D (Jack Black and Kyle Glass) putting their signature spin on “The Last In Line.” Killswitch Engage’s cover of “Holy Diver,” a hit in its own right when released in 2006, is also included here. Fittingly, Ronnie James Dio provides the finale (and the album’s title) with his moving performance of “This Is Your Life.” Originally released on Angry Machines (1996), the song’s lyrics explore mortality and are backed by a stark and beautiful arrangement that features Dio accompanied only by his longtime keyboardist Scott Warren on piano. The song serves as a poignant reminder that we will never hear a voice like Dio’s again. The Ronnie James Dio Stand Up and Shout Cancer Fund, co-founded by Wendy Dio, is a non-profit 501(c)(3) charitable fund dedicated to supporting cancer-prevention research, raising awareness and educating the public about the vital importance of early detection and prevention when dealing with this deadly disease. The Ronnie James Dio Stand Up and Shout Cancer Fund is a privately funded 501(c)(3) charity organization which has already raised more than $600,000 in its short history. Monies raised to date have been committed to the cancer research work of the T. J. Martell Foundation for Cancer, AIDS and Leukemia Research and the gastric cancer research unit of the M.D. Anderson Cancer Center in Houston, where Ronnie was treated for gastric cancer during the last six months of his life. I can’t wait for this. I have heard the The Mob rules on Adrenaline Mob EP and it was great. Hopefully the rest are just as good. Wow, this is great! I remember that Mrs. Wendy Dio were talking about proper tribute album some time after Dio death, but it was quite a time ago and I thought that by now it will just not appear for whatever reason. Glad that I was wrong and she (and probably label Rhino and contributed artists) were simply taking their time to do the tribute properly. A little bit sad that not all the songs are exclusive to this compilation, but since I haven’t heard them before it’s really not a big deal. Waiting for it and hoping that it’s worth it. Excellent news, although I’d prefer the autobiography Ronnie had almost completed instead. No news on that. I agree with contributor Aleck that it´s a little bit silly – just a little – that some tracks already exists on other tributes, like for instance DORO´s “Egypt (the chains are on)”, but it´s really no big deal. Because in every other possible way I can think of it´s GREAT news!! I´m really looking forward in hearing Rob Halford singing “Man on the silver mountain” (which is my absolute favourite song of his) and I reckon SCORPIONS´s version of “The temple of the king” will be interesting too. Okay then. Let´s skip the rest of this winter. I never ski anyway. I´d prefer some new metal to feast. For this, I will be “the first in line”. I wonder why Metallica are doing Tarot Woman in the middle of Stargazer and Light In The Black? Not wanting to be annoying, I know I’m missing the point completely, but Halestorm did not open for H&H when they played down south in Argentina the last time. Halestorm only opened for H&H on their final gig ever with Ronnie – Atlantic City 2009. There’s video from that gig exclusive to this site elsewhere. This looks like a great tribute album. Speaking of Magica…. I wonder how much of Magica II/III was written. Were there any tracks other than Elektra that got recorded with Ronnie’s voice? And, hypothetically, if it was all written, would there be a possibility of the album being “finished” by having a cast of singers come in and play the parts of various characters in the story or something? Japanese version has 2 bonus songs. Heaven and Hell along with Stand Up and Shout. No idea by who though. Was hoping Alice Cooper was going to be on it. The Japanese version will be released on March 26 with two bonus tracks: STRYPER’s rendition of BLACK SABBATH’s “Heaven And Hell” and DIO DISCIPLES’ take on DIO’s “Stand Up And Shout”. With all due respect to Dio and his legacy in Rainbow, Sabbath and solo, it is unfortunate that most of his solo releases feature dodgy artwork. It may sound petty, but I think it’s important that the label or whoever makes these marketing decisions, give their artists the best chance possible. Maybe they were his choices, I don’t know. The industry is clueless though. 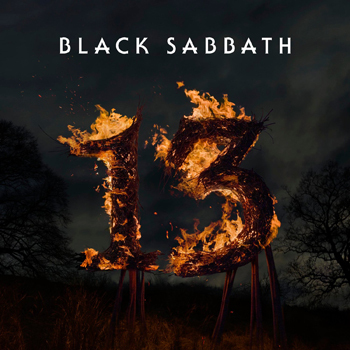 They have not really known what to do with Sabbath/ Heaven and Hell either and so more often than not resort to metal cliches of devils and dragons, etc…..
What a great album. And it sounds better now than ever. But the amateurish cover of The Reaper in some video hell looks like something one may see airbrushed on the side of a van in Tijuana. What was Warner Bros thinking? 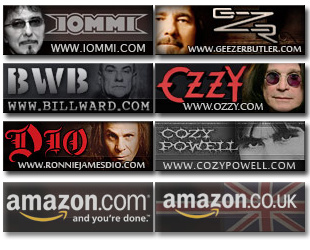 Labels didn’t do crap like that for bands like Soundgarden and Pearl Jam etc…at the time. They basically were saying “metal is dumb music for dumb people who will like this bad artwork”. It pisses me off. Excellent comment Jeff, I made a similar point at thehighwaystar site a few weeks back in regards to this appalling album cover also! Sabbath’s Born Again, Forbidden & Dehumanizer all have that ‘dumb down, neanderthal’ type of look about them! Which of course with other album covers, Iron Maiden included, gives it a immature, comic book & childish cartoon appearance! I always get that embarrassed feeling when looking at album covers like these, & yes it is in the ‘metal’ scene where it is prevalent! I think the metal scene is partly to blame though, as it revels in that sort of imagery & no doubt feels proud of it also! And what are yours favourite metal album covers? I am not into ‘metal’ so to speak, Sabbath are not metal. Hard rock or just good old rock in my book & many other Sabbath fans feel the same! I own a couple of Dream Theater’s earlier albums, Awake & Falling Into Infinity, also Living Colour’s first 3 albums & Iron Maidens ‘Live After Death’! But as I said, a few Sabbath albums have that cartoon sort of cover & I feel sort of embarrassed seeing that! I know the old saying of ‘don’t judge a book by it’s cover’ can apply to music also! I still own the albums that I mentioned. Back in 1995 when I stumbled upon Forbidden in a record store, I honestly thought it was a cheap dodgy release of a best of or a greatest hits! I was unaware they had recorded a new album, so until I turned the disc over to view the back cover, it was only then that I realised it was a new album. The next thought was ‘what is this cartoon crap cover’ & I then proceeded to buy the disc of course, albeit embarrassed within my own mind with how the album looked! It is cheap & uncalled for in my opinion, surely something a little more mature could have been used? 1. Black Sabbath are definitely metal. To say otherwise is incorrect. 2. I agree that Forbidden’s cover is pretty bad. 3. Hard rock and heavy metal bands tend to write lyrics that bring to mind imagery from fantasy and science fiction. Therefore, it would make sense that bands use dark and fantastical album art in order to give an accurate representation of the music inside. If you want album covers devoid of that sort of thing, listen to Cascadian post-metal/black metal. In my experience, that scene tends to feature covers that are minimalist or scenes of nature. Tony Iommi says Sabbath are not ‘metal’. He calls it rock or hard or heavy rock, & that is all it is! That is what Sabbath & many other bands were ‘labelled’ as far back as the early 70’s! The term ‘Heavy Metal’ was spawned in the 60’s, but not really attributed to many bands, a few journalist began using the wording! It wasn’t until the 80’s that the terminology became ‘trendy or popular’ that it became a ‘category’ on it’s own, with other alternatives following! Death metal , speed metal, thrash metal! The same with psychedelic rock, art rock, progressive rock, symphonic rock etc! Names or categories are always open to ones own interpretation of them. It happens in so many different genres of different things. It is only an opinion from an individual. To say that Sabbath are not metal ‘is incorrect’ is actually incorrect in itself! If certain people want to call it metal they can & they do, why, who can tell? Other people call it rock or heavy rock or whatever. It doesn’t mean anyone is correct or incorrect at all, it is an opinion, & mine is Sabbath are not metal. For me & others I know they are not, to other fans out there they are! I think these songs fit for the artists that are on the compilation.I will say what I think when I get to hear all of these.Good Rock and Metal artists picked for it,indeed. Is There any Form of Preorder or Purchase Link out there Yet? I got to here this album this weekend and it’s awesome. I really like the Anthrax version of Neon knights and the Killswitch engage Holy diver rocks. I really like the version of “I”. I always thought “I” was an awesome song to begin with. Such a heavy killer riff. Not a bad album. Killswitch Engage’s cover of Holy Diver was horrible, but then again I didn’t expect much. Likewise for Metallica – a band I’ve never had much use for. The big surprise for me was Halestorm. Rob Halford was reliable, but not much more. I did think Tenacious D’s cover of Last In Line was excellent. As was Anthrax’s Neon Knights. Shame there was no Maiden, Alice, Seb Bach or Steel Panther, though. I must say that most of the performances on here could of been better.In truth,only 5 stand out in my opinion.But,it is hard to top the original when Ronnie is in it.That is without saying.I will have to give people credit for doing their best.I will list below the ones that were the best.Ronnie would have been proud. “Temple Of The King”-Scorpions…..The Scorpions can do no wrong in my book.The wonderful vocal melodies of Klaus Meine are awesome.They did a great job.They will always be Germany’s finest.The music they did in the 70’s and 80’s will always be their best.I love them greatly( in a hetereosexual way of course).Thank God for Scorpions! “The Last In Line”-Tenacious D…..They did a wonderful job.The recorder solo was odd though.Jack Black has done a good job at giving props to Ronnie.Love them in the video to “Push”.Tenacious D is always fun and funny. “Straight Through The Heart”-Halestorm……They did great.Lzzy never fails.Though she is foxy and someone I’d love to have as a second wife,she is talented first.She is so attractive it isn’t funny.I love her. “Catch The Rainbow”-Glenn Hughes and former members of Dio……..Excellent!Put it up there with “Seventh Star” and his work with Deep Purple.Love those Soul vocals!Not as good as the Rainbow version though.Glenn never fails!